Doctors have long known that patients with diabetes are at risk for kidney disease, and while chronic kidney disease (CKD) is regularly evaluated among patients with diabetes, kidney function may be significantly impaired before diabetes is diagnosed. Approximately 10% of the general population in the USA, more than 20 million people, has chronic kidney disease (CKD), and this condition is especially prevalent among patients with diabetes mellitus (DM). Specifically, an estimated one-third of adults with DM have CKD, and DM is the leading cause of CKD and end stage renal disease. 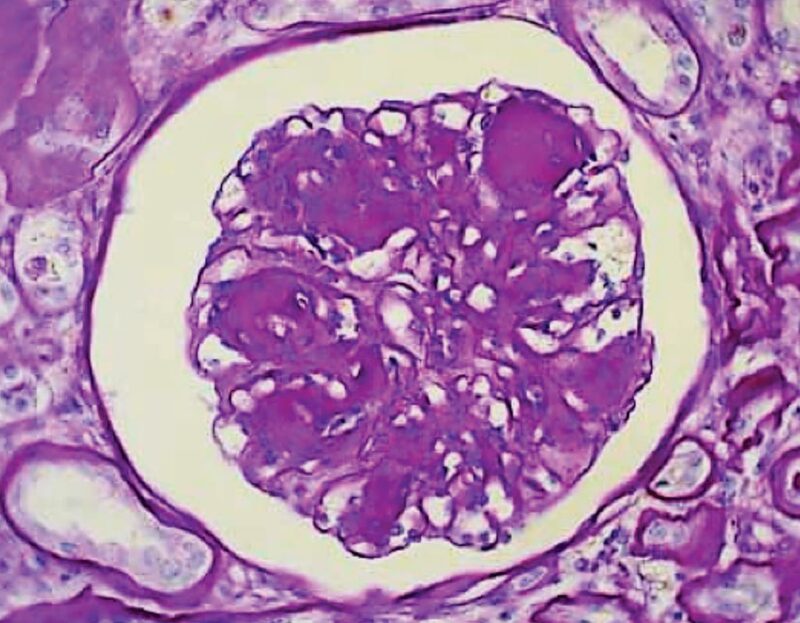 Image: A histopathology of the diabetic kidney showing the thickening of the mesangial basement membrane and matrix with nodular glomerular sclerosis and intercapillary sclerosis (Photo courtesy of the University of Antioquia). Scientists working with the University of Tennessee Health Science Center (Memphis, TN, USA) assessed the risk of kidney damage from undiagnosed diabetes, and looked at data on 36,794 veterans who were diagnosed with diabetes between 2003 and 2013. They found that 31.6% of these veterans had evidence of CKD prior to the diabetes diagnosis, based on estimated glomerular filtration rate (eGFR) and urine-albumin-creatine ratios, two common measures of kidney function. Veterans with higher age, hemoglobin A1C, blood pressure, and body mass index (BMI) also had a greater risk of CKD. All of these factors are themselves risk factors for diabetes. 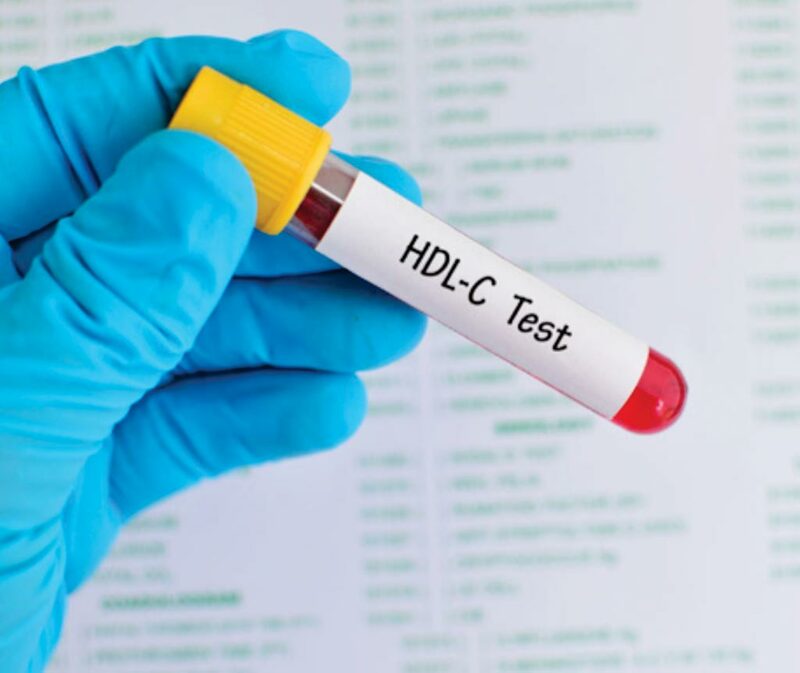 Those with cerebrovascular disease, congestive heart failure, or peripheral artery disease, conditions that are frequently seen alongside diabetes had higher kidney disease risk as well. The study also revealed disparities in the rates of CKD based on race. Asian Americans and African Americans had higher rates of chronic kidney disease than whites. However, the proportion of patients who were minorities decreased as disease severity increased. The results suggest that kidney damage often occurs before diabetes is diagnosed. The authors propose two possible reasons for this early kidney damage: Type 2 diabetes can be undiagnosed for a long time, meaning the kidneys are being damaged without the patient or doctors being aware, or, kidney damage could come from other conditions common in the population at risk for diabetes. The results highlight an opportunity for broadening screening among patients with increased risk of CKD. More screening of at-risk populations could lead to earlier identification of diabetes, which could in turn prevent organ damage. Csaba P. Kovesdy, MD, FASN, a professor of Medical Nephrology and senior author of the study, said, “Chronic kidney disease is silent, so patients can develop even advanced stages of chronic kidney disease before noticing anything. The only way to detect it in most affected individuals is through laboratory measurement, i.e., serum creatinine and urine albumin. Serum creatinine is measured very frequently among veterans, but an abnormal value would only diagnose stage 3 and above of chronic kidney disease. Urine albumin screening would be a way to identify early stages, but the use of this screening test is mostly limited to diabetics.” The study was published on February 9, 2018, in the journal Public Library of Science ONE.